Our designs transform a home into a perfect retreat. Through meticulous collaboration with homeowners and our team of contractors, we bring design inspirations to life while professionally managing every aspect to ensure the process is stress-free. We are committed to creating spaces that are elegant, timeless and comfortable. We create custom solutions for developers, hospitality and corporate clients that align their desired objective with a tasteful aesthetic. We excel at the challenge of designing workspaces, amenity rooms and common areas that are simultaneously functional, inviting and dynamic. We are mindful of the specific considerations for these projects, and are careful to use materials that are sustainable and resistant to wear. We transform spaced into sanctuaries. Our team of designers handle every aspect of your project from design concept, high end furniture rental to installation and removal when your home is sold. We do all this within budget and time constraints. 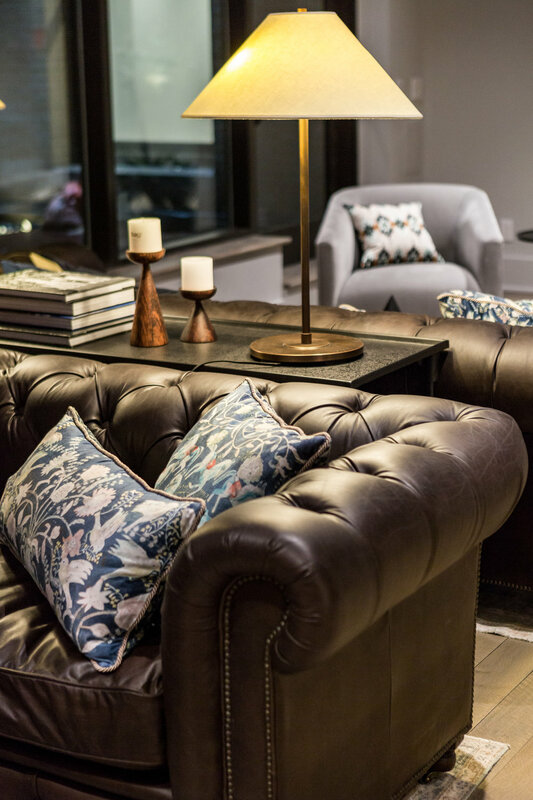 Featuring modern, elegant furniture and a keen eye to details we create alluring spaces that make houses feel luxurious & welcoming .